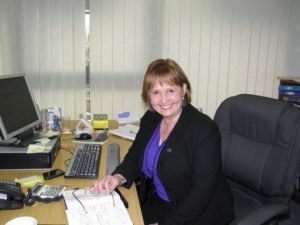 now>press>play recently had the pleasure of meeting with Denise Yates, Chief Executive of Potential Plus UK. We asked her to tell us more about Potential Plus and the work that the organisation does…. It is assumed that our highest ability pupils in this country will sail through school, effortlessly achieving the highest grades in every exam or test they take and going on to Oxbridge and the best jobs on offer. For some, no doubt, that may be true. However, for many of the children who come to Potential Plus UK, without the right support, their high ability can act as a significant barrier to their attainment and to them maximising their potential. 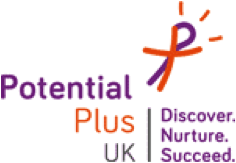 Potential Plus UK has been working in this field for almost fifty years to make sure that every child with high learning potential is identified, nurtured and that they achieve personal success. In terms of our history, we were established in 1967 by a psychologist called Margaret Branch who, along with other professionals and parents, had seen firsthand what can happen when a child is not stretched and challenged appropriately or simply does not fit in because they are clever and they wanted to do something about it. The first piece of research they did was, perhaps counter intuitively, with young offenders, something we repeated in 2011 and published in the report ‘Releasing Potential’. 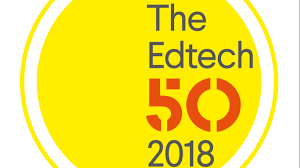 Almost fifty years on and our aims are the same; we support children with high learning potential, their parents and carers and the professionals who work with them; everyone from school governors, to teachers, teaching assistants and other relevant specialists. Our aims are really quite simple; we help these children to meet their social, emotional and learning needs so that they thrive. faces a range of issues which need support in the context of the child being highly able. These can range from social and emotional issues such as anxiety, sensory issues or problems relating to emotional and mental health to issues related to their learning such as difficulties with handwriting, working memory or processing speeds and problems with organisation skills or executive functioning. Our services are divided into two. The first set of services are those which support the parents or school to ensure there is an action plan in place so that the child maximises his or her potential. They involve making sure that parents/carers and professionals are able to identify, understand and feel confident enough to support the needs of individual children in the right way. Examples of services here include our free webchat service, our member’s in-depth Helpline, our Advice Sheets and our Assessment Service as well as the training courses and workshops we run around the country for parents and professionals and our closed Facebook Group which currently has over one thousand parents and carers on it. The second set of services is the events we run, ranging from small local events for children and families to larger weekend events involving about 150 parents and 150 children. At these events, children will take part in different workshops and activities in a variety of subjects to inspire and enthuse them; the choice is endless! At the same time, parents and carers will work together to discuss and address the issues they face with their child at school or at home. Popular topics include anger management, dealing with perfectionism and how to support a high ability child at home. Apart from the activities on offer, one of the most important reasons for having events like this is that they are great places for both children and parents/carers to meet others and make friends. This helps to reduce the isolation many of these families can feel from having a child who is ‘different’ and so that they can realise they are not on their own. There is no longer a national framework in place to support these children in schools in England unlike in Wales, Scotland and Northern Ireland. Despite this, schools are identifying their high ability pupils and supporting them with a range of classroom-based and other activities. 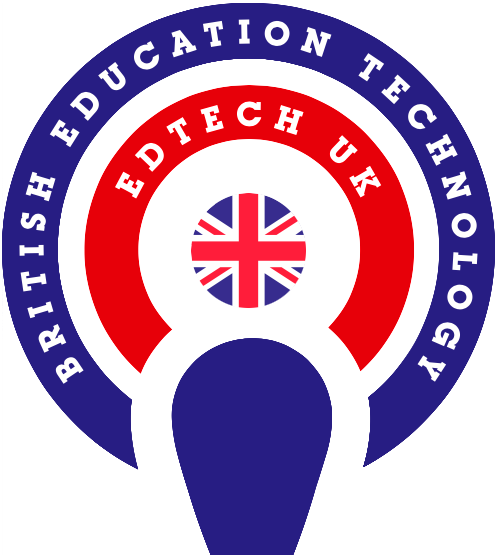 Pressure to do this is coming, in part at least, from Ofsted and equivalent which stresses the importance of looking at the progress a child is making and whether they are achieving what they are capable of in terms of exam grades and test results. Analysis of progress made is clearly showing that some pupils who should be achieving the very best grades are not. Ensuring good teaching happens for every child, including highly able pupils, is an important part of every Ofsted inspection. Without evidence of this, the school requires improvement. Surely then, it is in everybody’s interest to ensure that ability and attainment go hand in hand? Some of the best schools are exploring the reasons why there may be barriers to highly able children achieving the grades expected of them and this is where Potential Plus UK can help. Common problems we see include issues with reading, writing and emotional issues. For example, some children with high learning potential are early readers. They come into school already reading, sometimes chapter books, and they are hungry to learn. However, when they are put onto the bottom of the reading scheme with strict rules on progression or they are forced to learn phonics when they are already reading whole words and sentences or they are constrained by the words they need to know that year, many stop reading altogether and conform to the lowest level. Another example is the high incidence of poor handwriting amongst high ability pupils which, if not supported in the right way, can mean that the child fails to live up to early promise. Final examples are, the strong sense of perfectionism and lack of resilience amongst many high ability children which are often contributory factors towards exam failure at best and growing mental health problems at worst. In Potential Plus UK’s recent report ‘Too Much, Too Soon’ children as young as four were reporting problems with such issues which, without the right support, are likely to have a significant impact on their future achievement. Dealing with all of these issues and more when they arise, we believe at Potential Plus UK, is important for any child but absolutely vital for children with high learning potential. For if they are not, we will only see more unhappy children, more self-exclusions and fewer young people who should be achieving the best results and yet who are failing to do this.